I picked up the Collection Little Mix All About The Eyes Palette up on a whim during a recent trip to Boots. This palette was an absolute bargain! It costs just £3.19 and contains six shades which can be used simply to create a pretty,natural look or built up to create a more sultry,smokey eye look. The pigmentation of these eye shadows isn't quite in the same league as pricier products such as the Urban Decay Naked Palettes, however for the price I can't complain. When used alongside a good eye primer the eye shadows are able to last on my eyelids throughout the day. I believe that this product may possibly be aimed at somebody a little bit younger than me (due to the Little Mix endorsement), however this eye shadow palette has really impressed me and I'm glad I've added it to my make-up collection. The only downside to this product is the eyeshadow applicator - in my opinion they're not a great tool for applying eye shadow (although they are pretty good for swatching). I much prefer to use an eyeshadow brush but of course its all down to personal preference. The Collection Little Mix All About The Eyes Palette is available to purchase for £3.19. 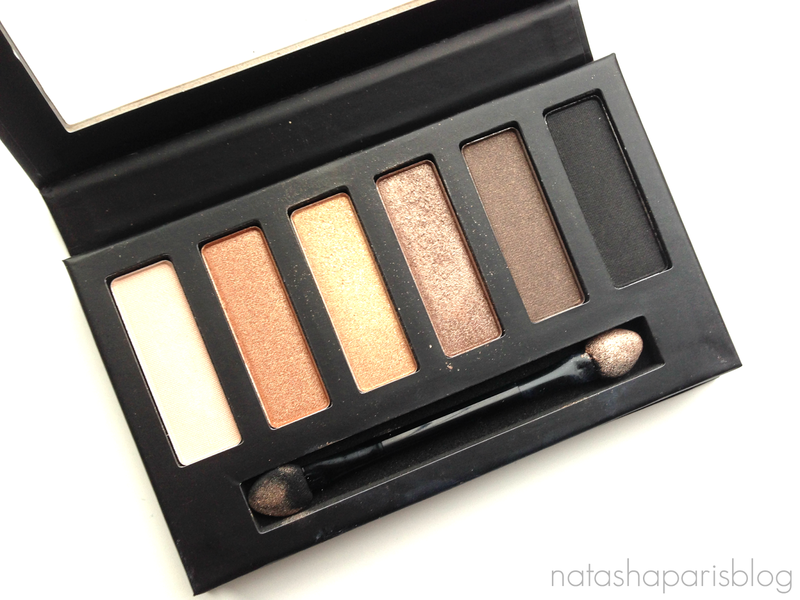 Have you tried this eyeshadow palette? If not will you be giving it a go?